It’s easy to learn how to buy bitcoins with bank account because there are so many bitcoin exchanges. Our guide will teach you the best ways to buy bitcoins with bank account, so keep reading! Bitcoins, being cryptocurrency, exists only digitally and is not controlled by any government body. Its value depends solely on the market trends and traders’ activities and as such is treated as very attractive investment asset all over the world. From its beginnings in 2009, the bitcoin rose in value and interest, pushing brokers to offer various purchase methods for traders to choose from. As with every other product or service that you purchase online, BTC could be bought through bank account transfers, either through peer to peer (P2P) or from bitcoin exchange broker directly. 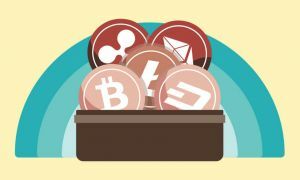 This article shall show you how to choose exchange platform that would suit your needs the best, as well how to purchase bitcoins safely and anonymously. Since the beginning, the bitcoin grew from an anonymous trading asset towards fully fledged investment tool, used by many investors to either get rich or to purchase goods and services online cheaper. Currently, cryptocurrency has a great infrastructure all over the globe, with various purchase methods being accepted across various exchange platforms. You, as a trader, now can choose with whom to trade BTC with, depending on your location, preferred purchase method and on desired fee and limitation levels. This article is concerned with bank account transfer and how can you buy bitcoin instantly with a bank account. We would recommend you to visit all of these websites, as to see which suit your needs the best. You could create a simple comparison table, much like the one above this text, where you would put limitations, fees, pros and cons of each bitcoin exchange concerning bank account purchase. 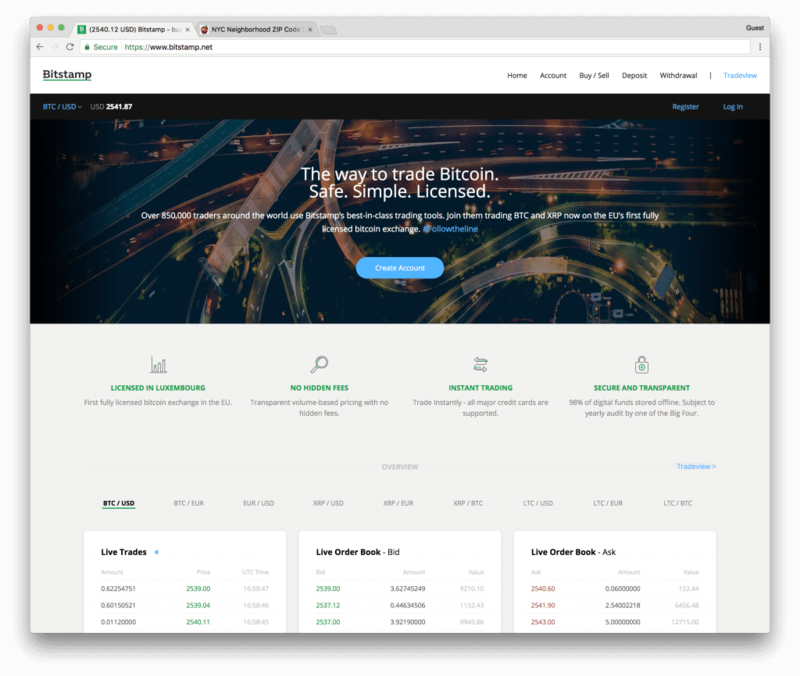 The LocalBitcoins is one of the most used P2P platforms for bitcoin trading whose services are available all over the world. 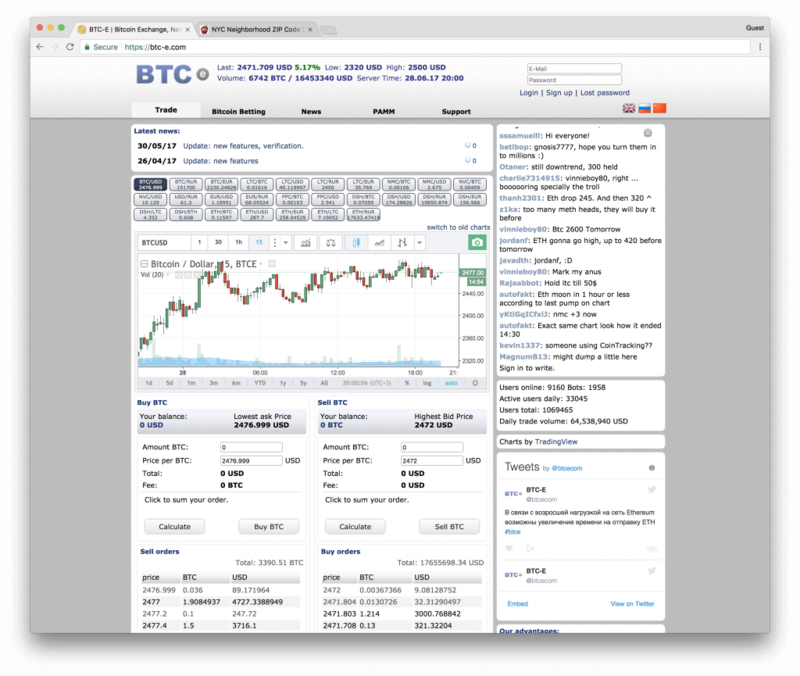 The website market offers a place where traders buy and sell bitcoins with purchase methods at their choice. There are no limitations to how much you could purchase BTC and the transaction fee stands at 1%. To buy bitcoins with a bank transfer, you would simply need to find a reliable trader who lists the bank transfer as an acceptable method of payment and that is located in the region you are currently located in. LocalBitcoins is also known for availability of anonymous purchase, with no verification needed to get bitcoins. However, do take into account that privacy depends on the trader since some sellers might require you to update your profile with personal details (ID verification even) should you wish to buy a larger amount of bitcoins. An additional issue with this platform to be aware of are potential fraudulent activities inside the market, so do make sure you buy bitcoins online from someone that has great reviews and is known to the LocalBitcoins community. 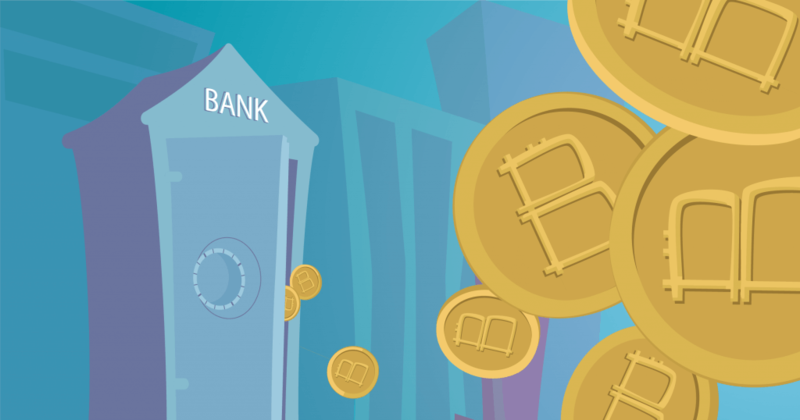 This exchanger offers bank transfers for various regions in the world, thus being considered as one of the most widely spread bitcoin service providers. Be sure to check whether your country is supported for BTC transaction by visiting CEX.io exchange (note that there are some States not supported as well). For the US, the CEX.io offers ACH bank transfer payments while for EU it offers SEPA transfers. What makes CEX.io very popular for bank transfers is the low fee of 0.2% from the value of the transaction, making CEX.io one of the cheapest brokers to do bank transfers with. The downsides are the limitations, which require extensive verification in order to reach high purchase limits of $10,000 daily and $100,000 monthly. With a basic account, you would not be able to purchase bitcoins with a bank account. To start the process, click on the button “Deposit” on the top right corner of the page and then choose “Bank Transfer” as a payment method. After successful verification, you would be offered either ACH or SEPA transfers, depending on your location. 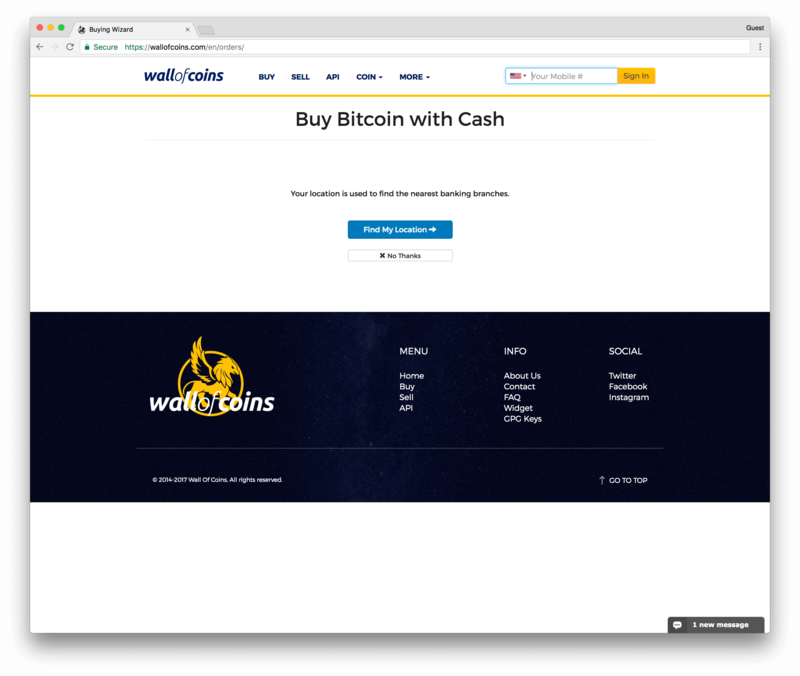 The bank transfer would take up to 5 business days to transfer your funds from your bank account to the website fund wallet, after which you could purchase BTC at will. 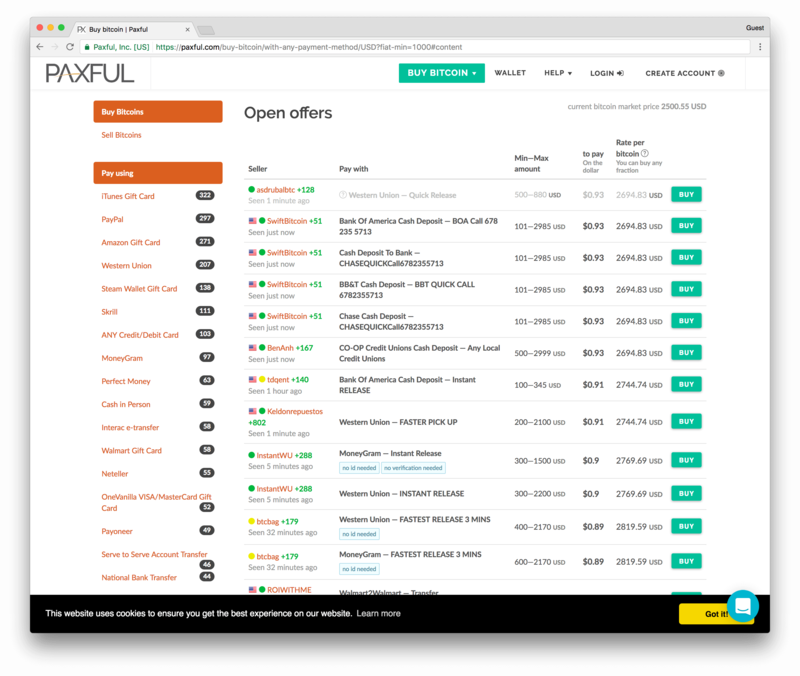 Paxful is a direct competitor with LocalBitcoins, as it offers a P2P platform for traders to do bitcoin transactions. The purchase process is very simple and similar to the LocalBitcoins, as you register yourself on the site, find a bitcoin offer that is interesting for you, and choose the currency and bank transfer payment method. Sellers bitcoins are transferred to Paxful escrow service while your money raves from bank to bank. As the funds land in the seller’s bank account, the payment would need to be verified and your bitcoins then released. 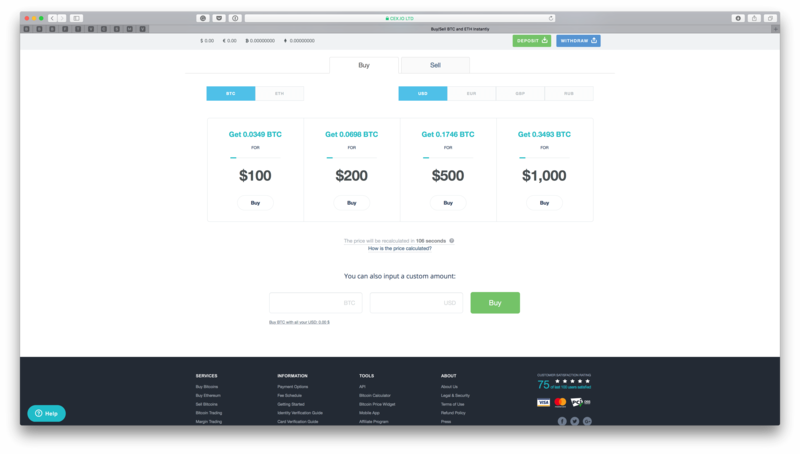 The site offers 1% per transaction fee, leaving room for traders to negotiate the BTC price according to their interests. 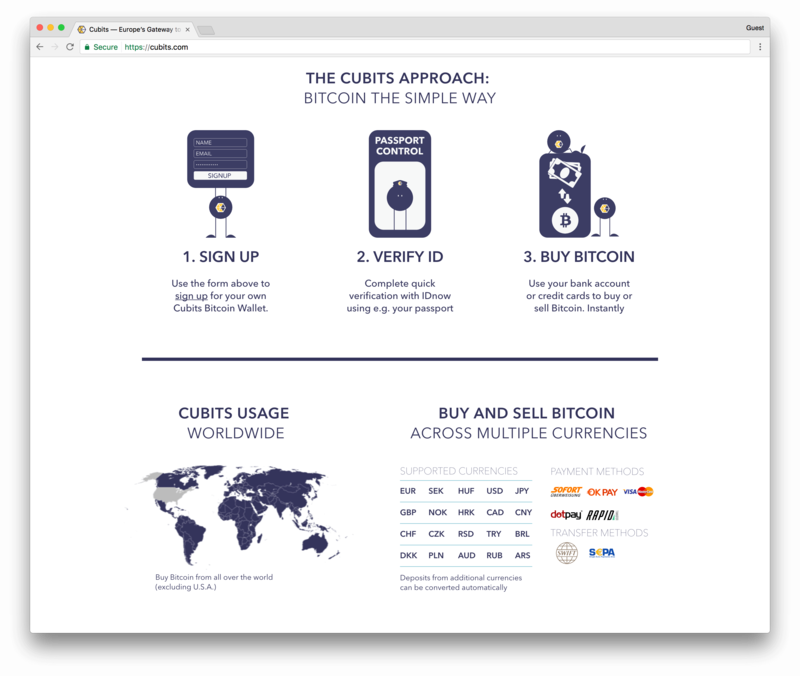 Cubits exchange offers its services around the globe (excluding the USA) with a wide range of currencies that could be used to purchase bitcoins. The bank transfers could be done through either SWIFT or SEPA bank account transfer alongside with local bank transfers like SOFORT, with a fair fee of 0.9%. The downsides of the website are the verification, as it is needed in order to trade bitcoins and the need of online wallet usage. The wallet should be avoided as the security measures are always a step behind from hacking parties, thus use caution with the broker’s wallet service. Being one of the biggest European bitcoins providers, the exchange offers its services to American, European and Japanese customers with deposits being made through international bank transfer, SEPA transfer, and Interac. The fees are considered to be one of the lowest in the BTC markets, going from 0.25% down to 0.1%, depending on the purchase volume of the bitcoins. The downside of the website is the need for ID verification, as you cannot purchase the bitcoins with bank transfers if you have not previously signed up and verified ID. The limits could go up from $2,500 to limitless, depending on the verification level you have achieved within the site. 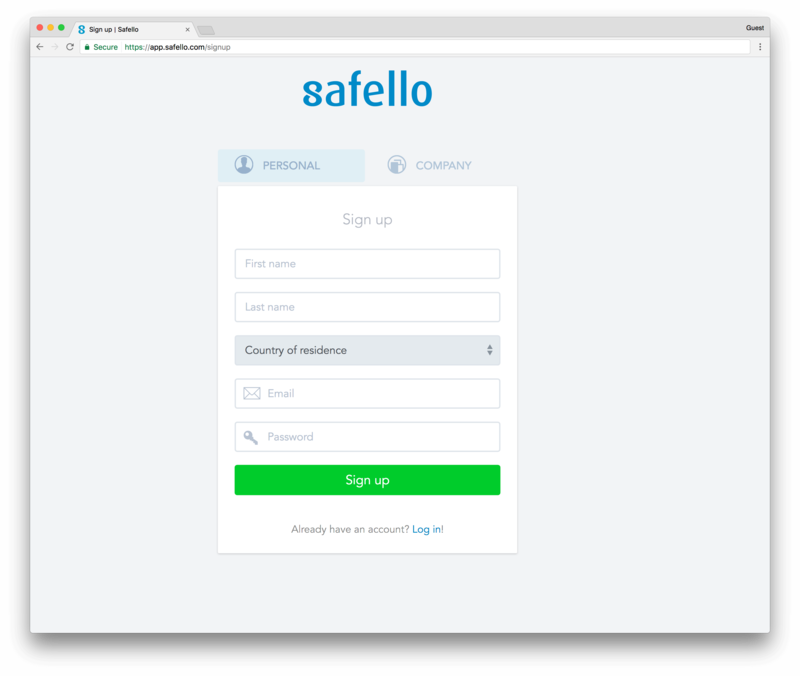 Safello is a Swedish-based bitcoin exchanger which offers its services in 32 countries, mostly based in Europe. The bank transfers for bitcoin purchases are possible if the methods used are SWIFT, Bankgiro, SEPA and International Bank Transfer, depending on the country you live in. The exchange requires ID verification in order to purchase bitcoins, thus is not considered not to have a private experience for its customers. Additionally, the fees are not shown transparently but are rather included in the bitcoin price. Depending on the bank transfer method, the bank account purchase would take up between one to three business days. There are no limitations on the purchase quantities of bitcoins. 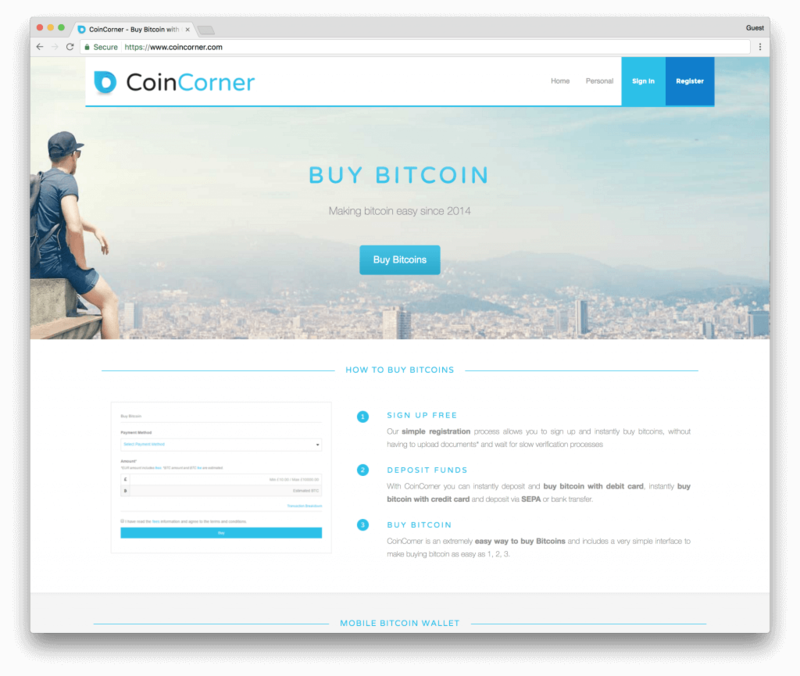 Wall of Coins is yet another P2P platform, where buyers and sellers trade bitcoins using various payment methods, bank transfers included. The service is available in 12 countries at the moment; only verification needed is the phone number. The fees are said to be between 1% and 2%, though it is important to note that the fees are included in the BTC price. The bank transfers are thus acceptable when the seller has identified the bank account as the acceptable payment method, though be aware that traders would be reluctant to work with larger BTC quantities with the bank account. Online bank-to-bank transfers are currently not available as a payment method in Wall of Coins. Based in the Isle of Man, the exchange offers bitcoin purchases for clients from the UK and Europe through SEPA or GBP bank transfer. The website requires the ID verification and the fees stand at 1% for purchase of BTC and the bank transfers are processed for free. The purchase process takes between two and three days for both SEPA and GBP bank transfers. The limitations on the purchase amounts are set based on the information you provide about yourself, from your location to the level of verification achieved. Bity is a European exchange broker that offers SEPA bank transfers for most European countries with a EURO currency. 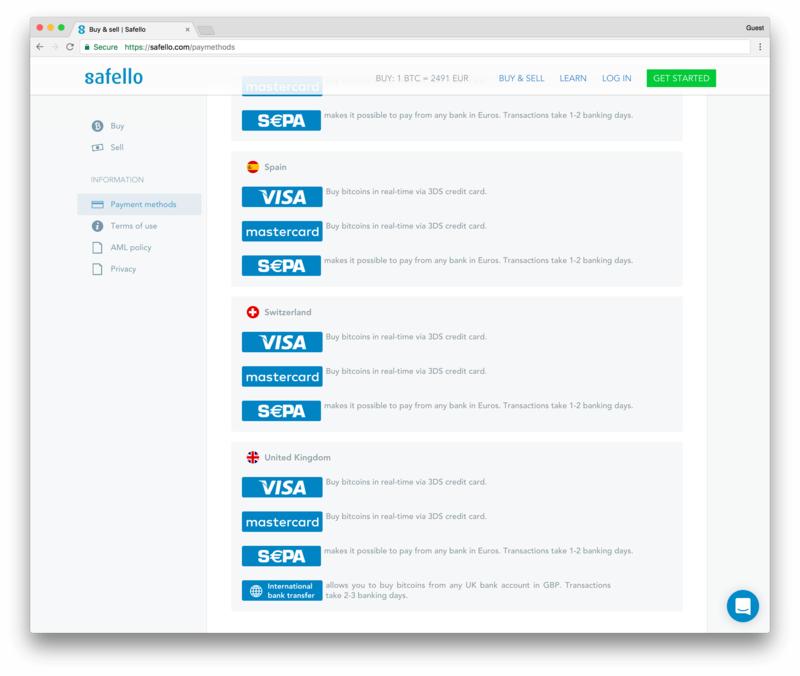 The transaction fees are null if the SEPA is chosen as a bank transfer method. 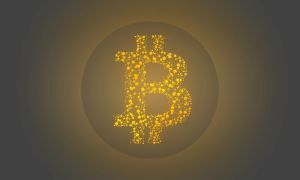 Other methods such as SOFORT or OBT are charged according to the location you are living in and the currency you are using when buying bitcoins. Buying bitcoins would cost 1% of the purchase value. With different verification levels, the limitations are set upon the purchaser depending what information has been provided and how. The phone verification would grant daily limit of $1,000 and yearly $4,000 while full verification (ID, phone, address and Video call) would grant you $50,000 daily and $100,000 yearly. 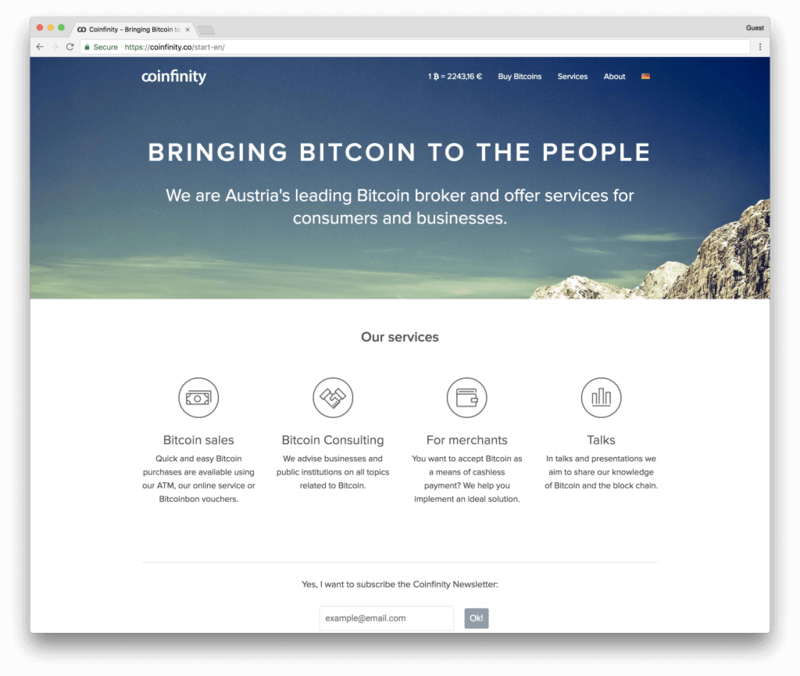 Coinfinity is yet another European bitcoin exchanger from whom it is possible to buy bitcoin instantly with a bank account. The bank account transfer is carried out only by SOFORT method which does not constitute any transaction fees. The website requires full ID verification in order for traders to be able to purchase bitcoins. Another issue with this exchange is its very limited regional availability. 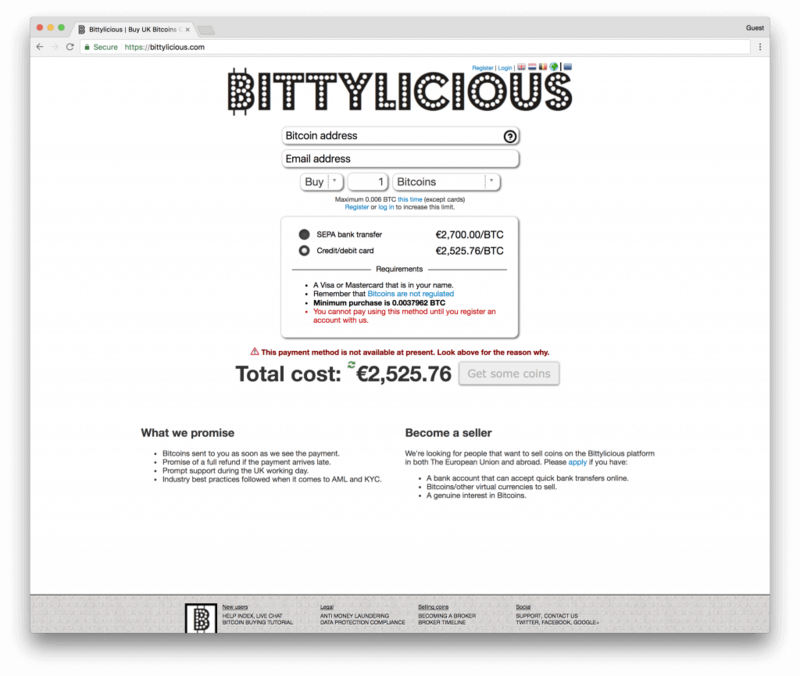 Currently, bitcoins could be purchased (and sold) only by traders who reside in Austria, while the currency used is Euro only. 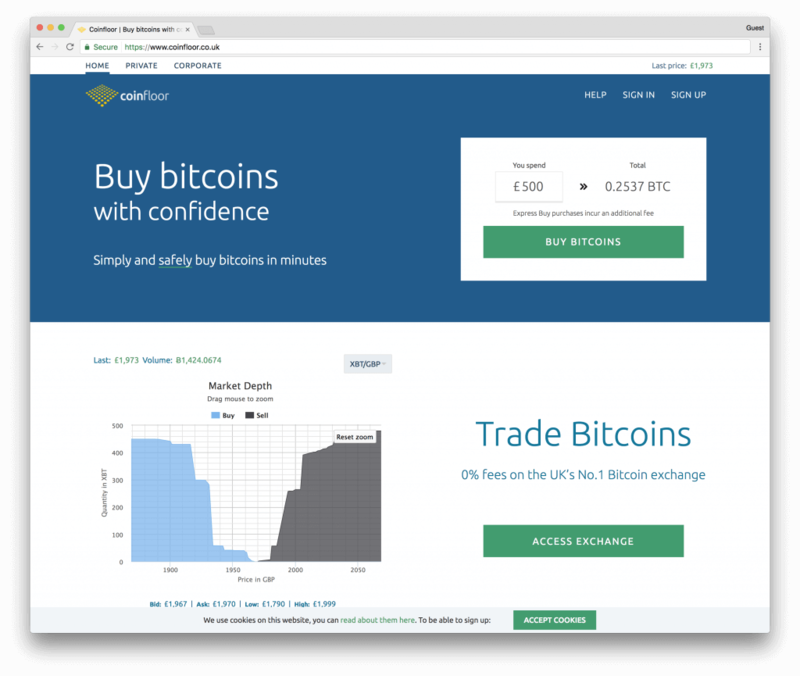 As a European bitcoin exchange broker, the Coinfloor offers its services to the UK and European traders to purchase bitcoins with bank accounts through SEPA or online bank transfer if the trader is from the UK, while EU traders could use only SEPA as a method of purchase. The Coinfloor charges a small fee between 0.34% and 0.38% depending on the bitcoin volume traded. 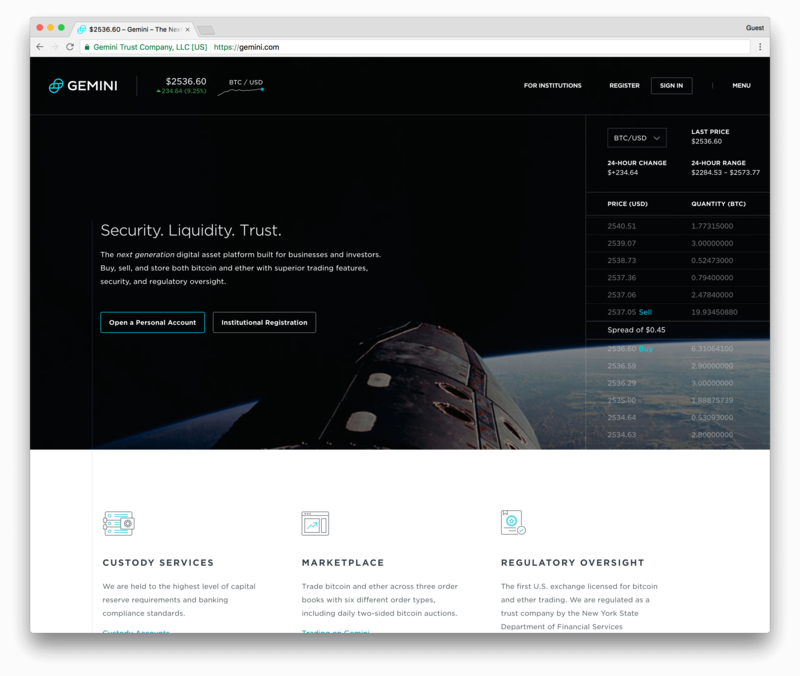 The potential setback for many investors that wish to trade with this bitcoin broker is the high amount of deposit funds, equal to 1,000 units of either EUR or GBP. The verification process would start with account creation while the limits are correlated with the verification procedures. As with many other exchangers, the Coinfloor demands the full ID and address verifications to be done in order to trade bitcoins at their site. 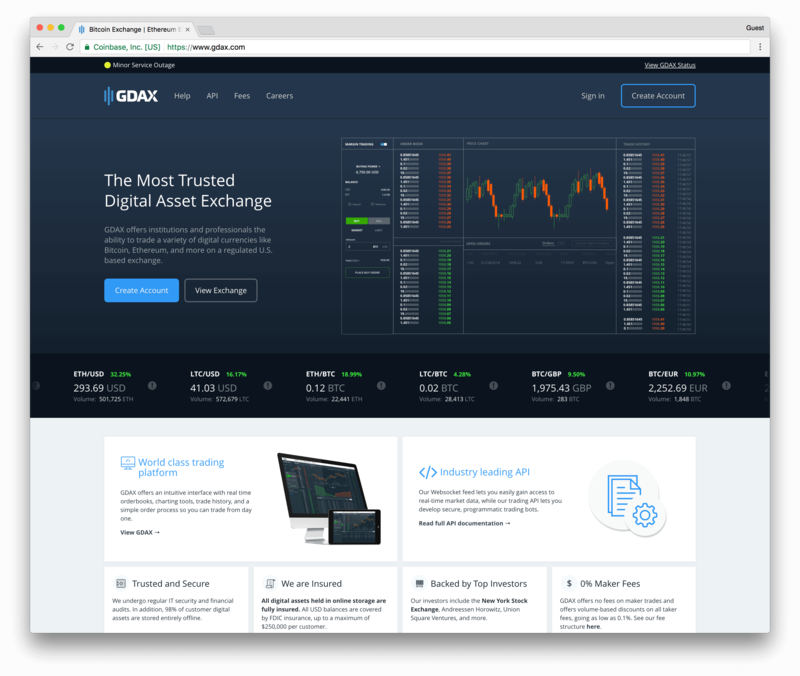 GDAX offers its services to wide range of regions in the world, from the US to Europe and Asia (total 32 countries at the moment). The bank transfer for bitcoin purchase for the US traders is available with ACH or bank wire, while European residents could purchase bitcoins through bank accounts with SEPA transfer. The fees are organized by the user’s account age and by volume traded, ranging from 0.1% to 0.25%. The bank transfer order is placed by the buyer posted on the website for an interested seller to apply, the buyer would have 0% fee on the transaction. It is required of a trader to register an account on the website, with ID and address verification set as obligatory. One of the fastest bank transfer methods offered in the bitcoin markets, this UK-based exchange broker offers bitcoins to UK traders that could be bought really fast. 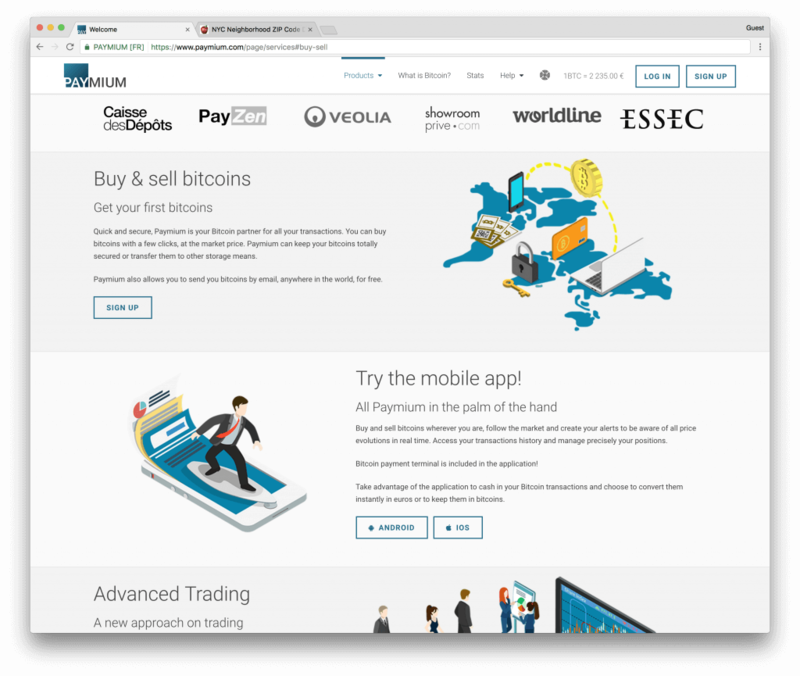 You could buy bitcoin instantly with bank account by transferring funds through bank account by using SEPA transfer if you are based in the UK. Other countries are not supported at the moment, making this broker’s services rather limited to the UK only. The limitations on the bitcoin purchases vary across several important factors like IP location, account age, verification level and ongoing limitations. Though it is possible to purchase bitcoins with bank transfer with no verification of your ID, the limits are progressively larger if the ID and address have been verified. 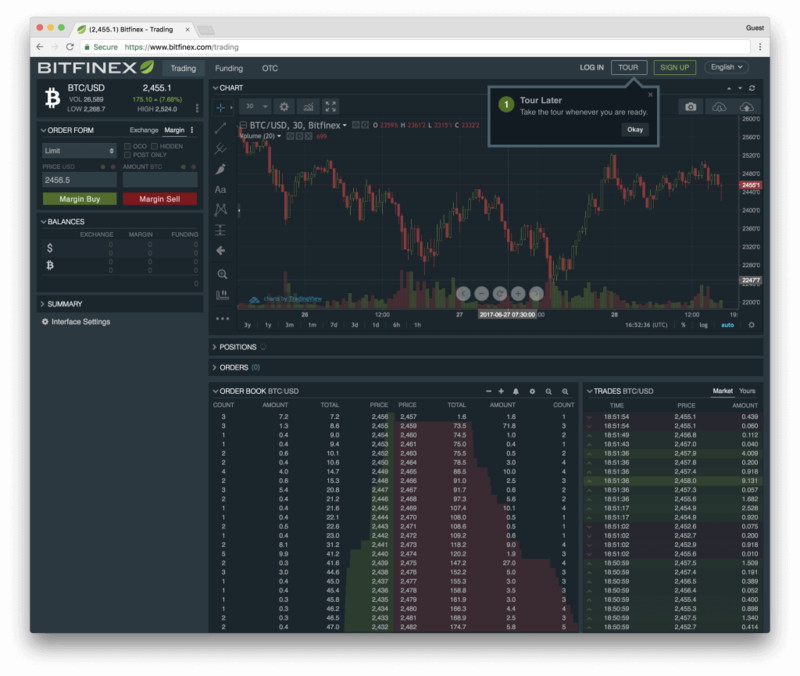 Bitfinex is a very popular bitcoin broker exchange as it offers high liquidity in USD trades. The bank transfer method used in this website is the SWIFT transfer, with very low fees that range between 0.1% and 0.2%, depending if the trader is a maker or a taker of the bitcoin transaction post. 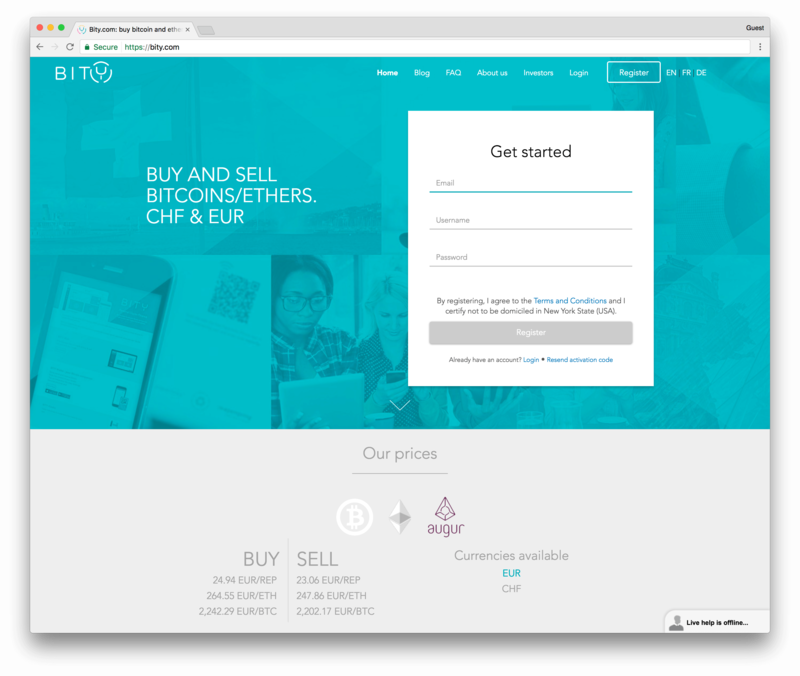 The ID should be verified if the trader wishes to purchase BTC with EUR while no verification is needed for USD purchases. 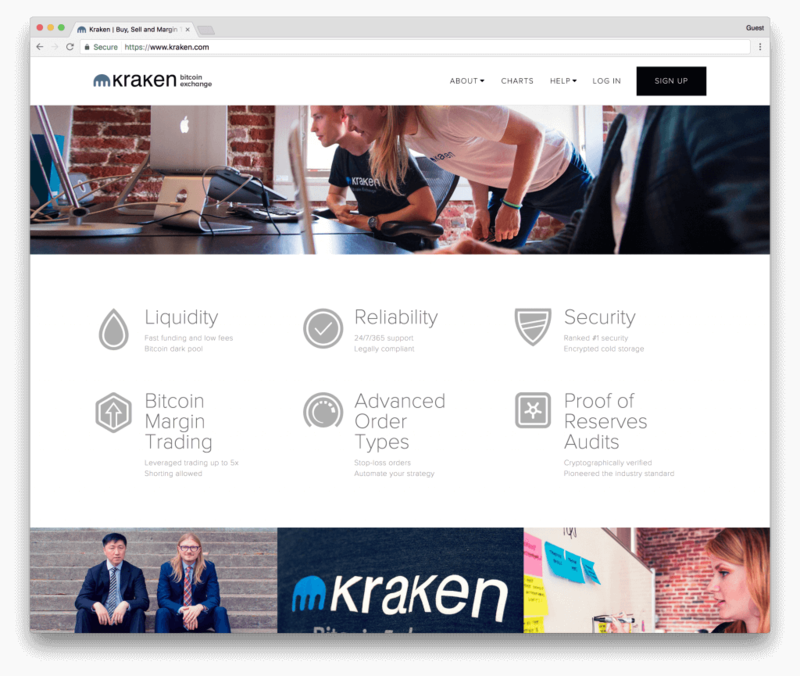 Do take into account, due to its popularity, the site has been hacked in the past, taking a lot of information such as ID and bank account information, when choosing which currency to trade with at this site. 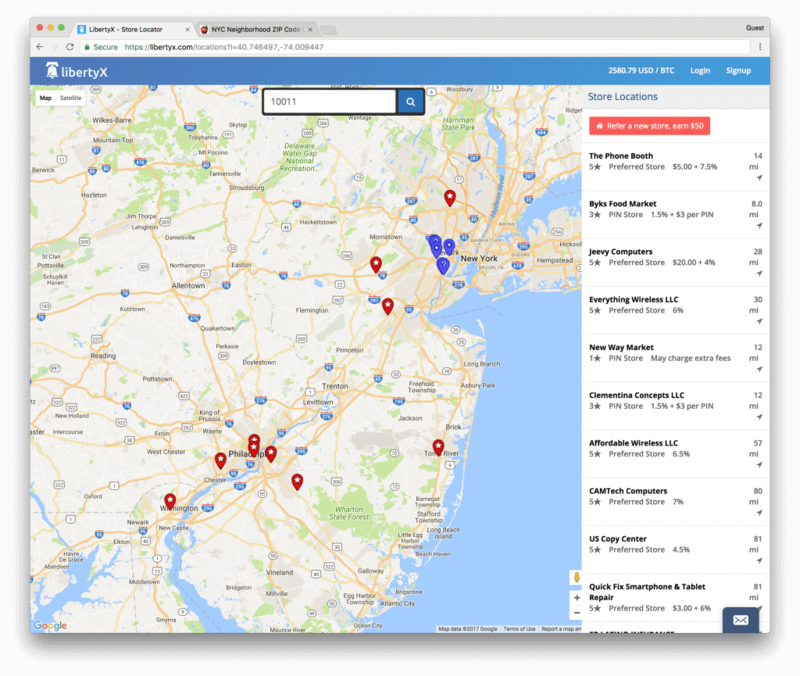 This broker operates in 42 US states and in other selected parts of the world (UK, Singapore, Hong Kong, South Korea and Japan). The verification is needed to trade bitcoins, while the bank transfers are done through ACH transfers. The funds, after reaching website’s wallet are immediately available and purchase process is quite simple. The fees range from 0.25% to the rebate rate of 0.15%, in which makers could even profit from better price than stated by the 0.15%, depending on the volume of the BTC trade. 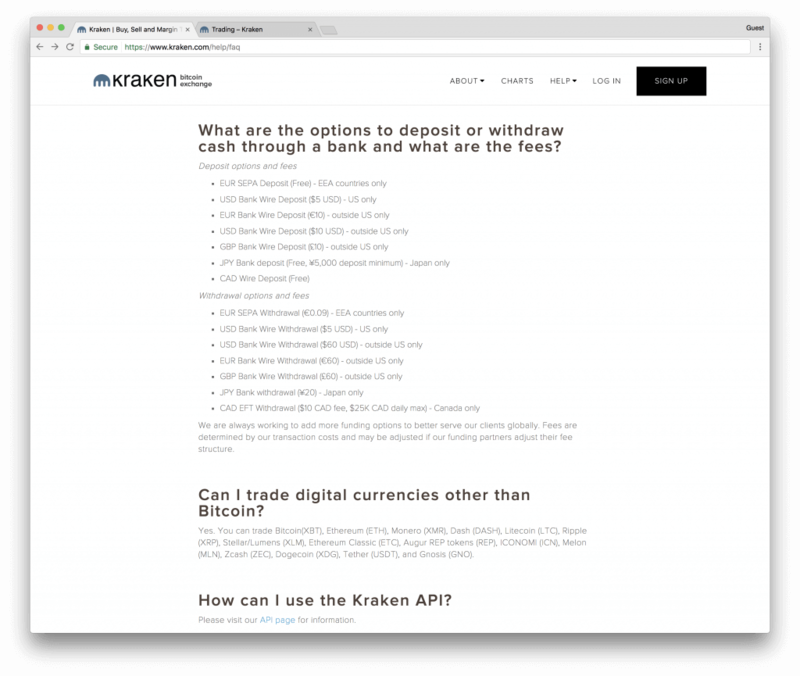 This bitcoin broker offers a wider variety of bank account transfer methods, creating a freedom of choice for various traders from around the world. The methods include transfers through SEPA, SOFORT and online bank transfer for all European countries. Currently, BitPanda’s services are not available outside of Europe. Limitations vary across different verification levels, so you could purchase bitcoins up to 50 EUR daily if you have verified your phone number. The ID verification would bring you higher limitations of 5,000 EUR daily and 75,000 EUR monthly. Fees are not displayed separately but are rather a part of the price. 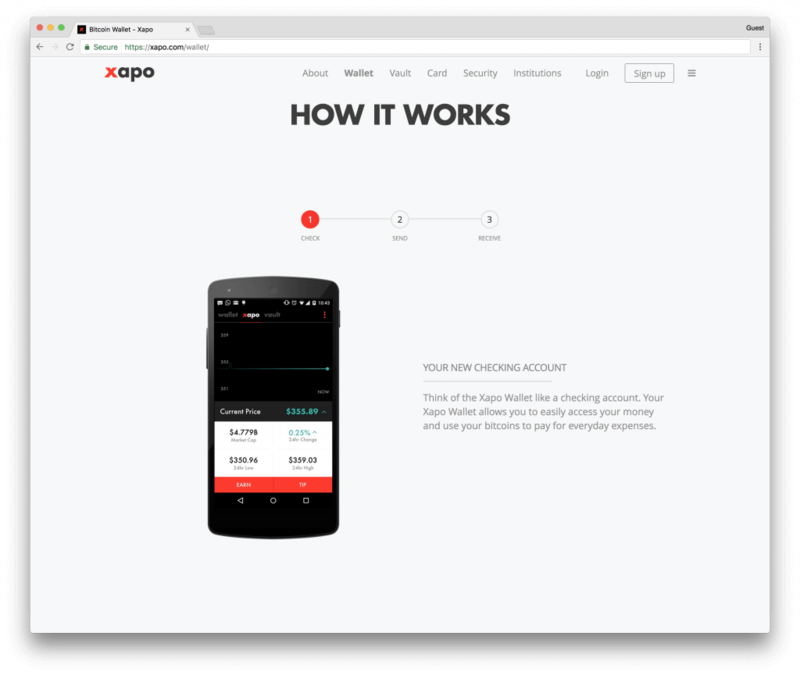 Xapo started as vaulting service, offering bitcoin purchases to be done with wire transfers while bitcoins to be stored in their wallet stores. The wallet services could be maintained and accessed anytime and could be operated offline, by using your smartphone. To use the vault and online wallet, the website requires complete verification of your ID, phone, and address. Coinbase is considered to be one of the biggest bitcoin exchange brokers in the world, with 30 countries served as of 2017. American traders could purchase bitcoins with bank account through ACH transfer while European traders with SEPA transfer. The ACH transfer takes up to 5 business days while SEPA takes shorter, only two business days. The fees stand at 1.49% for both methods of transfer while limitations on purchase amount depend on account verification. Fully verified accounts (ID, phone, email, and address) would have limitations up to $1,000 daily with the option “Instant Buy” available should credit/debit card be added to the account as well. The LibertyX exchange uses ATM machines and registered stores to sell bitcoins to traders at the competitive price. 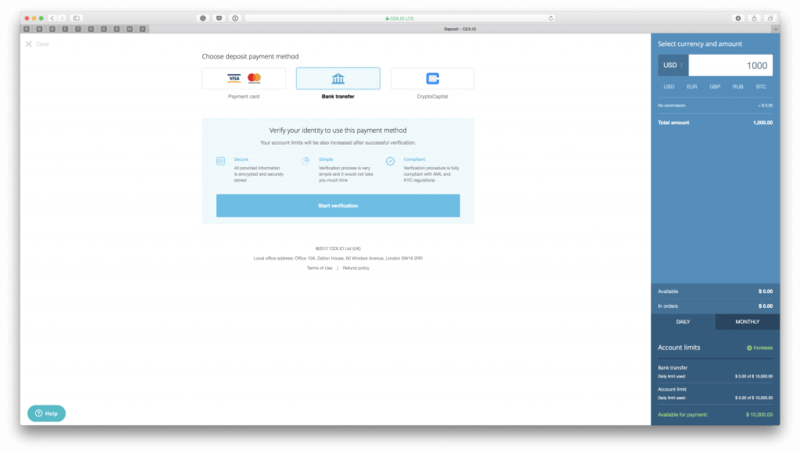 The accepted bank transfer methods depend on the store and its transfer requirements, thus you should contact the single store near you (or the one that would accept your bank account purchase) to get more information. The bank transfer transaction fees and limitations also depend on store’s preferences, as well as the verification requirements, thus contacting the specific stores would be an important step in getting the right information. Bitstamp became very popular in the recent years due to its service coverage for European countries and low bank transfer fee of 0.25% (could go down to 0.1% with sufficient trading volume). The SEPA bank transfer if available for European traders but the rest of the world could use wire transfers to purchase bitcoins from the Bitstamp. 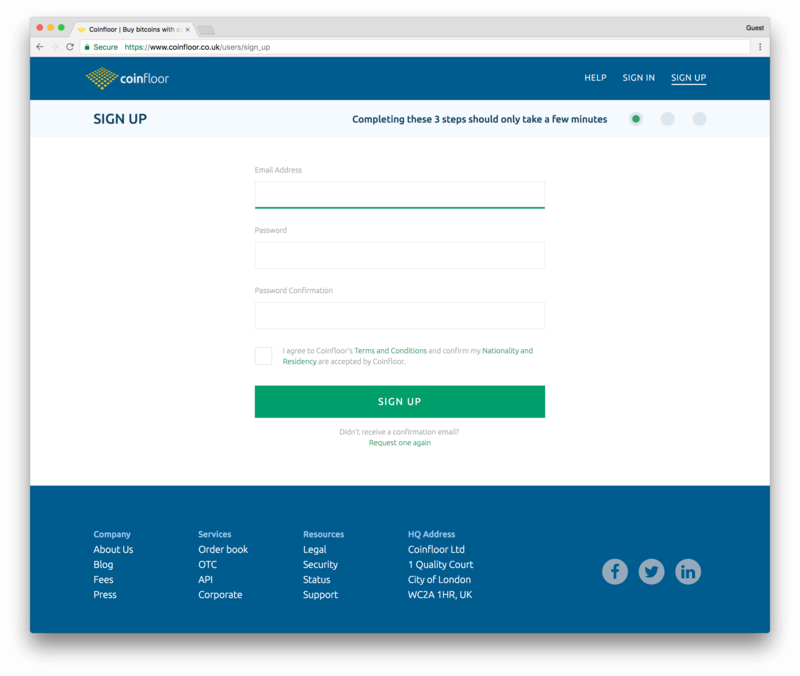 The registration is needed alongside with ID verification to be able to purchase bitcoins from this broker. The exchanger has been hacked before, thus we would advise traders not to store bitcoins or funds inside the website for longer periods of time. The Paymium is a French-based bitcoin broker, who offers bank transfers for French and European traders. The payment could be also made through mobile apps (Android and iOS) only through ID verification. Without the ID, traders would have limitations set at 100 EUR daily, while with verification the limit would increase to 2.500 EUR. The bank transfer accepted is SEPA transfer which is wired for free when purchasing bitcoins. The trade fee stands at 0.59% currently. 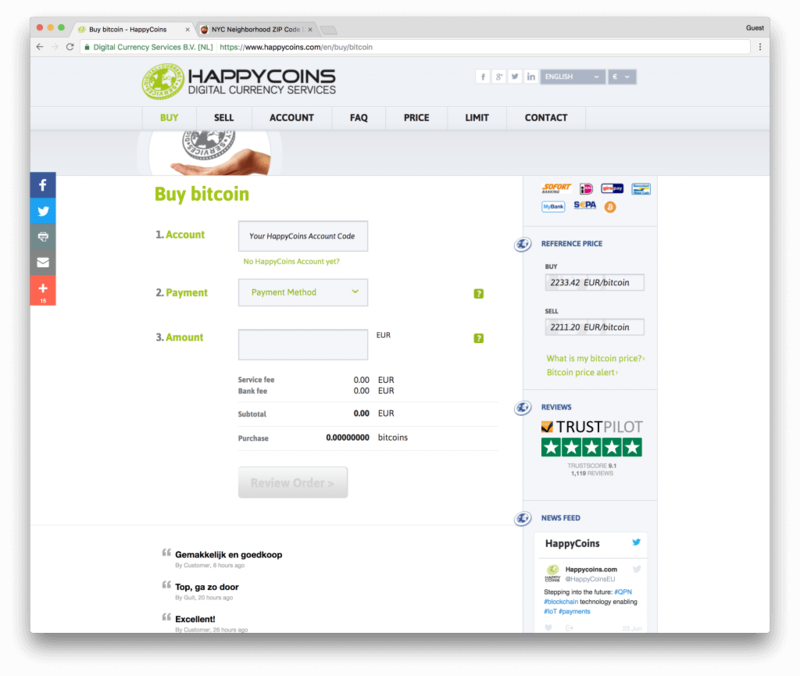 Anyone that holds European bank account can use services provided by HappyCoins, an exchange broker that allows a wide range of bank transfer methods such as iDEAL, GiroPay, MyBank, Sofort, and SEPA. The limitations and bank transfer durability depend on the verification level and transfer method chosen, which could vary from 7 days to 2 days only. 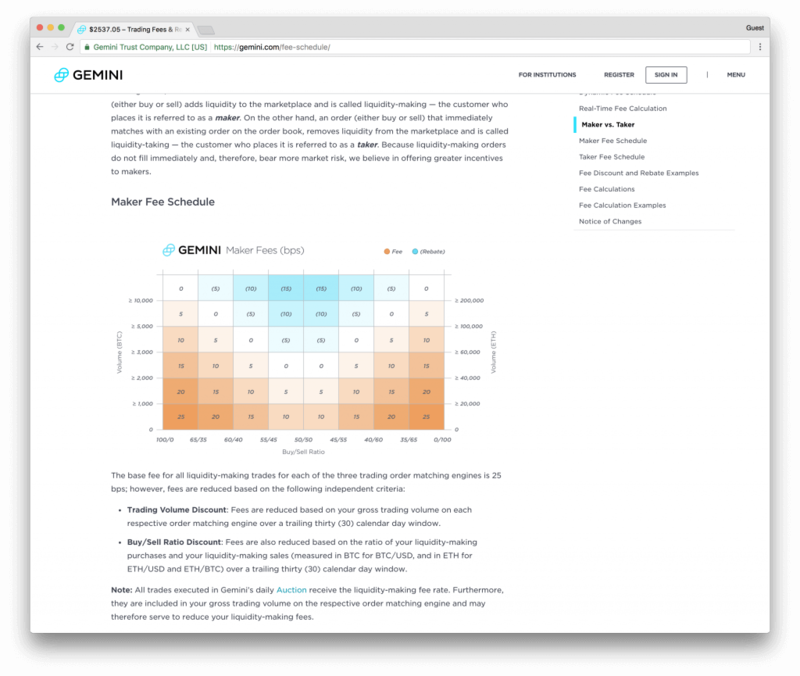 The main issue with this broker is that fees are part of the purchase price and are thus hidden until the end of the purchase process. BTC-E is a P2P platform, where bitcoins could be purchased by locating offers that interest you. The traders themselves, as is the case with LocalBitcoins and Paxful, offer methods of bank transfers, so you would need to find a person who accepts your preferred bank transfer method. Your privacy also depends on the trader as with all other P2P markets while the transaction fee stands at 0.2%. Using ATM machines for bitcoin purchases is one of the most widely spread methods of bitcoin purchases. You could locate the nearest ATM machine from you, and head over to the ATM to buy your bitcoins using bank transfer. For that to happen, prepare your phone as to receive SMS verification and your bank account details so you can provide them to the ATM machine. The transaction fees, as well as bank transfer method, vary from ATM to ATM, so make sure you research the accepted payment methods as well as the fees included to know how much the provider charges for each transaction. Whatever exchanger you choose, you need to find out what kind of bank transfers are allowed for bitcoin purchase. Some brokers would accept wire transfers from around the world, while others would accept bank account purchases only from European banks. USA, Canada, Australia, UK, Europe, Singapore: Coinbase is the most popular bitcoin exchange to buy bitcoins with a bank account located in the US. 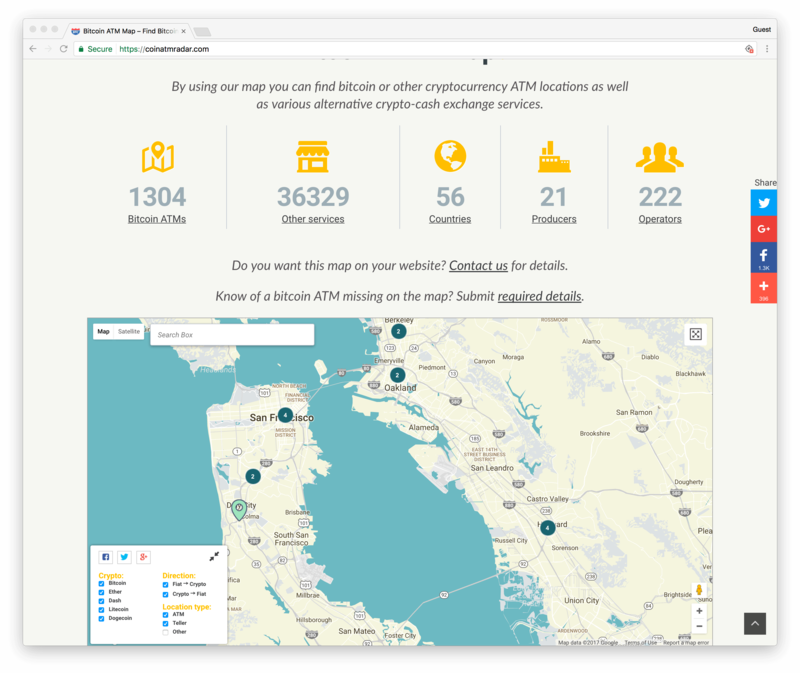 Worldwide: Coinmama is a popular bitcoin exchange with no ID verification required. 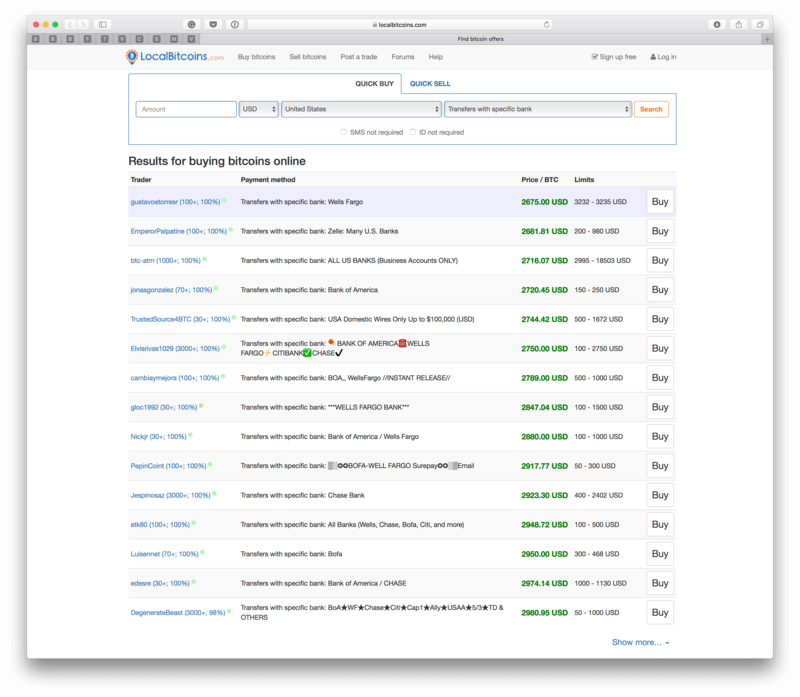 Worldwide: LocalBitcoins is the most popular P2P marketplace, no ID verification required. 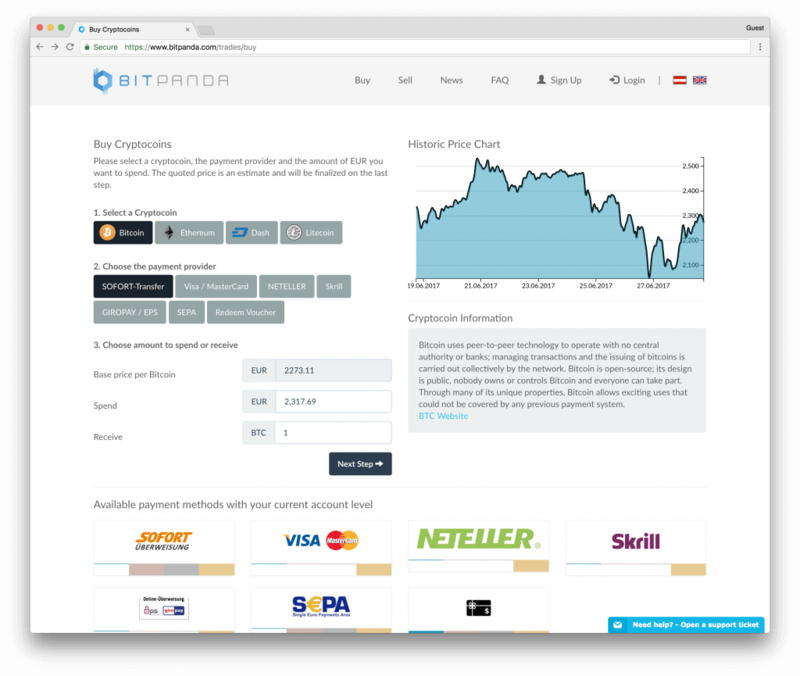 Germany, France, Spain, Italy, UK: BitPanda is a popular bitcoin exchange to buy bitcoins with a bank account located in EU. European Union, UK: CEX.io is a great option worth checking out. Japan: bitFlyer is a popular bitcoin exchange located in Japan. China: OKCoin, Huobi and BTCC are popular bitcoin exchanges located in China. South Korea: Korbit is a popular bitcoin exchange located in Korea. India: Unocoin, Zebpay and Remitano are popular bitcoin exchanges located in India. UAE and Saudi Arabia: BitOasis is a popular bitcoin exchange located in UAE. Brazil: FoxBit is a popular bitcoin exchange located in Brazil. 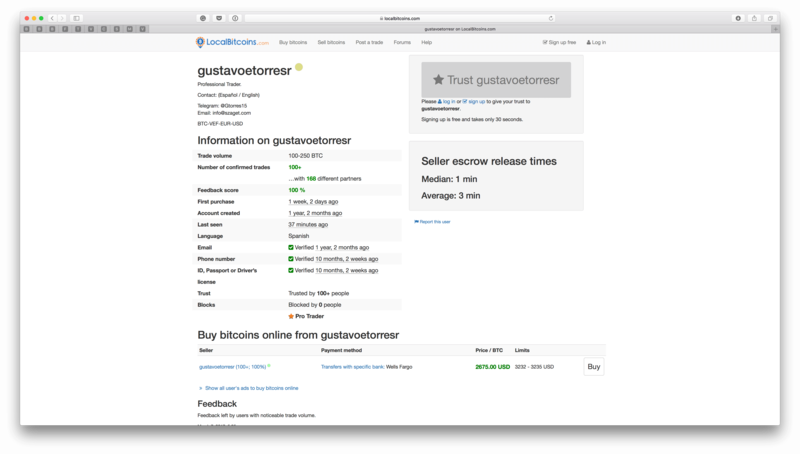 Mexico: Bitso is a popular bitcoin exchange located in Mexico. Another important aspect is the service availability of the exchanger himself. Some would supply bitcoins only to certain regions of the world, while others are globally available. P2P remains to be the easiest solution no matter where you live, though take caution not be scammed by those traders who are not known in the market.